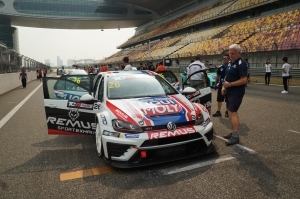 Liqui Moly Team Engstler’s Andy Yan won both races in the third race meeting of TCR Asia at Shanghai International Circuit and staked a serious claim on the Drivers’ title. 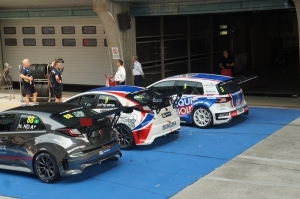 Race 1 – Tin Sritrai (Team Thailand Honda Civic) was on pole position despite several technical issues had plagued his car on Saturday. 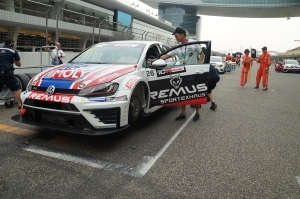 At the start, Sritrai took the lead, but only until Turn 1 where he was passed by Yan’s Volkswagen Golf. 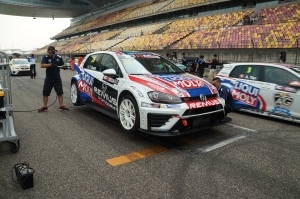 Behind the leading duo, Henry Ho (Champ Motorsport Honda Civic) overtook his teammate Michael Ho and climbed to third. Sritrai was chasing Yan closely, but on lap 4 the Thai driver outbraked himself and went straight, he re-joined but had lost more than two seconds from the leader. 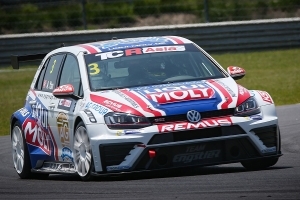 For the rest of the race Yan was able to manage his leading margin and crossed the finishing line first, 1.5 seconds ahead of Sritrai; Henry Ho and Michael Ho were classified third and fourth, while Kevin Tse (TeamWork Volkswagen Golf) beat Filipe de Souza (Liqui Moly Team Engstler Volkswagen Golf) in a tough fight for the fifth place. 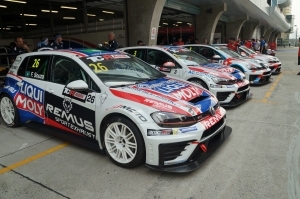 Race 2 – Terence Tse (Roadstar Racing Team SEAT León) and newcomer Neric Wei (Son Veng Racing Team Volkswagen Golf) shared the front row on the reverse grid. Tse took the lead at the start, chased by de Souza, while Sritrai and Yan moved up to third and fourth. In an action-packed first lap, de Souza stole the lead from Tse, but he was soon demoted to third by Sritrai and Yan who resumed their battle. On lap 2, Henry Ho retired with a technical problem. 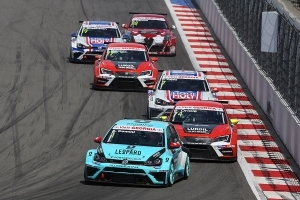 Lap 4 proved fatal for Sritrai once again, as the Thai slowed down with a possible power steering failure that eventually forced him to retire. Yan inherited the lead with a comfortable margin ahead of Kevin Tse and de Souza. Further behind Wei and Terence Tse were involved in a close fight for the fourth position. Eventually Wei prevailed on the last lap. After the first three race meetings, Yan’s leading margin in the standings has been stretched to 87 points ahead of Kevin Tse, when a possible 110 are still at stake. 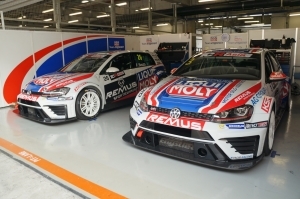 The TCR Asia series will resume on October 22 and 23, at Zhejiang, still in China, for rounds 7 and 8.